On February 18, 2010, Willie Turner from the HILLER AVIATION MUSEUM came to Monterey to pick up the SPORTSTER to display at the Museum. This was a historic moment for me to see my baby go to its new home. But what must be must be. The Bay Area is were the Sportster was born so finding a home here was a real blessing. This is the Sportster story. The Sportster by the way, is the world’s first, two place, experimental gyroplane. 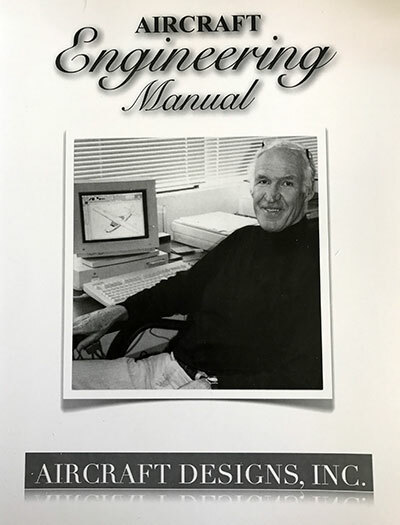 I attended San Jose State University taking classes in the Aeronautics Department in 1966 and graduated in 1968. One of my instructors, Jerry Shreve discussed the C.19 gyroplane invented by Juan de la Cierva. I fell in love with this type of aircraft. The rotor was prespun on the ground and provided lift in flight while a tractor or pusher propeller provided forward thrust. In flight, the rotor was not driven but free-wheeling. The gyroplane can take off in a short distance, 260 to 700 feet, and land anywhere at zero landing speed. It is completely maneuverable in flight and easy to pilot. It would not stall. What more could you want from a safe, sport aircraft? At this time, the Bensen Gyrocopter was the only experimental gyroplane and they were extremely popular. In fact they were the most popular home built (experimental) aircraft. However, it was a single place, sport rotorcraft and one had to teach himself to fly. My gyroplane would be a two place rotorcraft in which a pilot could instruct others to also fly and enjoy the safety and fun of flying a gyroplane. Upon graduating from San Jose State, I accepted employment at Convair in San Diego. I had received job offers from Boeing, Hughes, Lockheed, Martin Marietta but Convair made the highest bid. In my spare time, while working as a design engineer in the Advanced Concept Design group at Convair, I designed my “Sportster” as I would call my gyroplane. The most important item and the secret for making a gyroplane fly well is the design of the rotor blades. Other two place gyroplane designs, such as the McCulloch J-2 had been designed and certified by the Federal Aviation Administration (FAA) but its rotor blades were too small. This gyroplane had a gross weight of 1,500 lbs and a rotor diameter of 26 feet to give a disc loading of 2.8 psf and my computer calculations showed that it should not be over 1.8 psf. The Sportster would have a gross weight of 1,100 lbs and an optimum rotor diameter of 28 feet and a blade chord of 9.00 inches. While in San Diego, I designed and built the rotor blades. The leading edge of the blades was an extrusion made out of 2024-T8511 aluminum and the trailing edge were made out of 0.025 inch thick, 2024-T3 aluminum with ribs pressed out of 0.04 inch thick aluminum which supported the trailing edge. Everything was “Glued and Screwed” together with rivets and adhesive. Later blades would be covered with fiberglass skins to make the blade surface smoother and the blades more efficient. The first set of HA-28 blades were sold to Bob Hively for his Boomerang gyroplane and the second set was sold to Campbell Gyroplanes Ltd in England for their Campbell Cougar. The third set I kept for my Sportster. At this time, no gyroplane rotor blades designed for two place experimental gyroplanes, existed in the world. Campbell Ltd load tested the blades by mounting them on a loaded trailer and towing them down a runway. With my HA-28 rotor blades, they flew from England to the Paris Airshow in France in 1972. By now I was convinced that the blades were strong and worked well on two place gyroplanes. Not only had I performed a thorough analysis but they had been tested and test flown. I was even more determined to build my two place Sportster. In 1972, Convair let me go and I found new employment at Martin Marietta in Orlando, Florida. I worked during the day time, took evening classes at the University of Centeral Florida where I graduated with a Masters Degree in Engineering and built the prototype Sportster in a small, 10 by 20 foot, garage in the evenings when not going to school. After 2.5 years in Florida, Dr. Willy Fiedler, chief scientist of Lockheed Missiles and Space Co. (LMSC) in Sunnyvale hired me to come back to work at LMSC. The Sportster was designed to be towed on its own wheels in the street. So I towed it 3,500 miles behind my VW back to California. Subsequently in the following 10 years, I would tow the Sportster about 50,000 miles behind my car. Five trips were made to the EAA Convention at Oshkosh, Wisconsin. 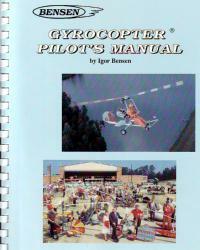 Although I had taken flight lessons and soloed a Cessna 150 in Florida, and had become proficient at flying the gyroglider, I had never flown a powered gyroplane. I was therefore very fortunate to meet Jerry Breuner, a seasoned certified gyroplane flight instructor. (CFI). Jerry is one of those rare individuals that you may meet in your life who will go out of his way to meet and help people in need and who share their interest in aviation. Jerry had owned three Air & Space 18-As, one 1941 Pitcairn, four McCulloch J-2s, and a fleet of fixed wing aircraft. With Jerry’s help I was able to test fly my Sportster without a hitch. Before taking passengers in the Sportster, a sandbag we named “Sandy” was given rides. The next passenger was Dr. Tom Butler, Vice President and Chief Engineer of AMF in New York. Tom and his partner and friend, Walter Tyler bought the first Sportster plans and built the second Sportster in 1976. Walter (or “Skip” as he is called by his friends) also became the East Distributor for the Sportster. After receiving my fixed wing private pilot’s license in a Cessna 150, I was able to acquire an add-on-rating for rotorcraft, gyroplanes by passing the FAA written examination and flight test. For the flight test, I met Jerry Pennington, the FAA flight examiner from the San Jose FISDO, early in the morning at Fremont Airport. Jerry told me that he wanted us to perform three maneuvers; an aborted landing, an aborted take-off, and an emergency landing. The aborted landing would consist of coming in for a normal landing from a pattern altitude of 700 feet with power off and applying power about 20 feet above the ground and going around again. For the aborted take off, we would make a normal take off and cut power about 50 feet above the ground and land. For the emergency landing, power would be cut on the downwind leg, a 180 degree turn would be made, and we would dead stick in from pattern altitude. I had flown the Sportster in a number of airshows and I had performed all of these maneuvers many times with only me in the aircraft. I felt confident and told Jerry that these maneuvers would be easy to perform, and that we would perform an aborted take off first. With Jerry and me, 200 pounds plus 240 pounds plus a half a tank of fuel, 36 pounds, the Sportster was loaded to a gross weight of just about 1100 pounds. We took off at a relatively low speed of 50 mph. I cut the power at 50 feet and we came down like a lead brick. Since the airspeed was low, no flare was available and we hit the runway hard. We inspected the airframe but nothing was damaged or laying on the runway. I was happy that I designed the Sportster for a limit ground load factor of three g’s. We got back in and continued with the rest of the maneuvers without a hitch. After we landed, Jerry asked if I had learned a lesson. I said, “Yes. Always keep your airspeed above 60 mph when taking off. You never know when your engine will suddenly stop.” Jerry congratulated me and told me that I had passed the exam. After the first flights in the Sportster, I had the opportunity to take 350 people up for rides and I have taught several hundred people to fly a gyroplane in my Sportster. With the side-by-side seating and dual controls, the Sportster is an ideal trainer and sport aircraft. People came from all over the world; England, Canada, Japan, Sweden, New Zealand, Isreal, Austria to fly in the Sportster. About 65 Sportsters were built world wide and used to train other gyroplane pilots safely. Most of the fun I had was taking locals up at our local airshows. As a member of EAA Chapter 62, I always attended the “Friendly Fly In” at Hollister, California and I gave rides to many people who attended. I had just taken my good friend, Ohle Fahlen for a ride. After landing he told me to take up a lady which I gladly did. Her name was Gail Turner and she called herself the “Pink Baroness.” She had built her own airplane called a Bowers Fly Baby and had painted it pink which was also one of my favorite colors. I had painted my first car, a Model A Ford Roadster, pink.” Her husband was Bill Turner, who was also a well known pilot. After we landed, she told me that she really enjoyed the flight. She would later visit EAA Chapters and give a talk about how she flew with her son, Willie Turner, to the EAA Convention in her Bowers Fly Baby. 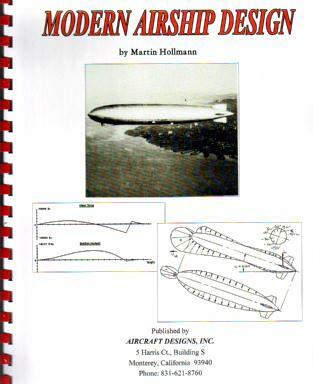 Many years later, I would be fortunate to hear this talk at a EAA Chapter 62 meeting. She had the people rolling in the isles with laughter. What has made the work and effort of building my own gyroplane so much fun is meeting various people such as Gail Turner and making new friends. There is quit nothing like sharing your fun of flying with someone else. If you decide to build or buy and aircraft, make certain it is a two place aircraft so you too can share the fun of flying with other. 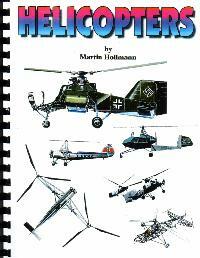 If you wish to see the Sportster and other interesting rotorcraft, I recommend visiting the Hiller Aviation Museum. If you wish to read more stories about the Sportster, I recommend reading my book, “Flying the Gyroplane.” Good luck and God bless.